Warframe for Nintendo Switch Review - The Best Free To Play Game Ever? Now, years later, Warframe has arrived on Nintendo Switch, and boom, my interest is renewed. Heck, I’ll pick up and play any free to play game on the Switch, just to see what it’s like since it’s so easy to play on the go, or in the airport, etc. But what I didn’t expect was Warframe to be so fully-featured. Sure, it’s been nearly five years since I first played it, but for all intents and purposes, this is now a different game in my mind. I thought of Warframe as a simple shooter-melee hybrid you can play with friends, but it’s that and so much more. 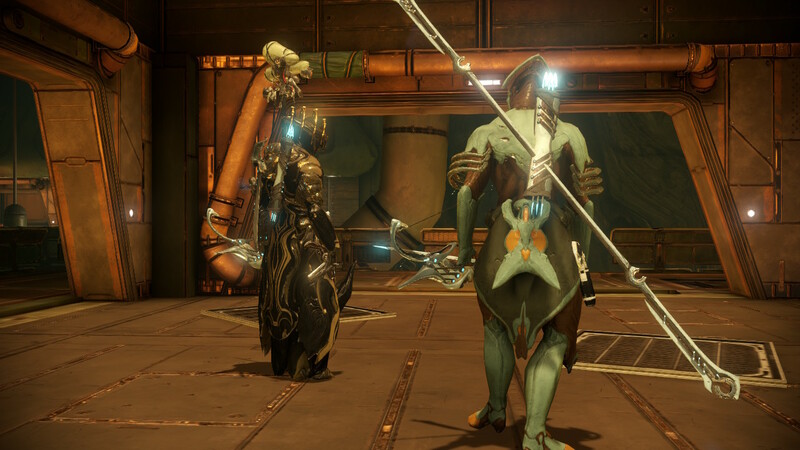 For those not in the know, Warframe is a third-person shooter with a strong emphasis on your melee weapon. You travel through space and visit celestial bodies, fighting against an alien race and reinforcing your ship and gear, with dozens upon dozens of quests for you to undertake. And you can do it all for free. Phew. Its closest comparison has to be Destiny, as you select quests from orbit, join up with your friends, and engage in co-op objectives. And while there are certainly other comparisons to be drawn between Warframe and Destiny, including some visual aspects, it definitely stands apart as it’s own unique beast. And for me, the key difference between Warframe and other similar shooters I’ve played is how you manoeuvre your character. You can run, slide, and jump in succession to perform grand leaps, and then you can double jump, wall run and jump up walls for even more movement options. The speed to slide and leap give you can be used to just plough through stages and it feels exhilarating to move at high speed and fly through the air. Couple this with mechanics such as slow-mo aiming in mid-air and cables you can grind on, and it feels like you always have an interesting way to move through stages. And then you combine that with the shooting. The shooting is good – guns don’t quite have the feedback of big budget first person shooters, but they do feel good to shoot. Bows are a nice test of accuracy – especially on moving targets – while shotguns can be combined with that movement to devastate enemies. Just zoom up, shoot them down, move on. It feels satisfying as hell, and the Nintendo Switch has an option to use gyro controls too, giving players that like the option a little bit more aiming flexibility. And yes, I like it. Of course, this is the port of a game built for more powerful systems than the Nintendo Switch, and it shows. Textures can be subject to pop in, and the framerate isn’t always the smoothest, barely masked by an aggressive motion blur. But, with a few tweaks in the settings – I turned off motion blur and increased depth of field slightly – the game feels good to play. Framerate is mostly steady, though certainly drops in the open world. It’s not the 60FPS experience you can expect elsewhere, but it’s decent. It’s free to play, though. That means there’s premium currency, as well as gear to buy, guns, and much more. It can even be overwhelming at first, frankly. But you unlock usable gear slowly, so although you can certainly feel overpowered early on by buying decent guns, you’ll still have a lot to work towards. You can absolutely play the game without paying, though you might feel progression to be slow at times, and it can be frustrating having to work hard to get stronger weapons. But all of that is offset by how shockingly good everything here is. It looks good. It plays good. It is consistently impressive and enjoyable. 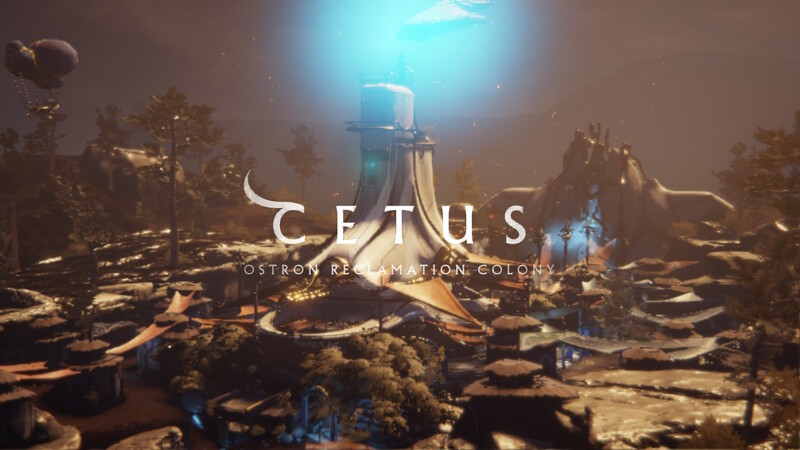 Grass billows in the wind, enemies surrounding with explosions, you hunt creatures in the open world – this feels like a game you should have to pay for, frankly. But it’s not. It’s free. Crazy. I played Destiny 2 recently. I enjoyed my time with it but was frustrated long before the end. But as far as it goes for multiplayer shooters I can play with my friends, it was a good time. 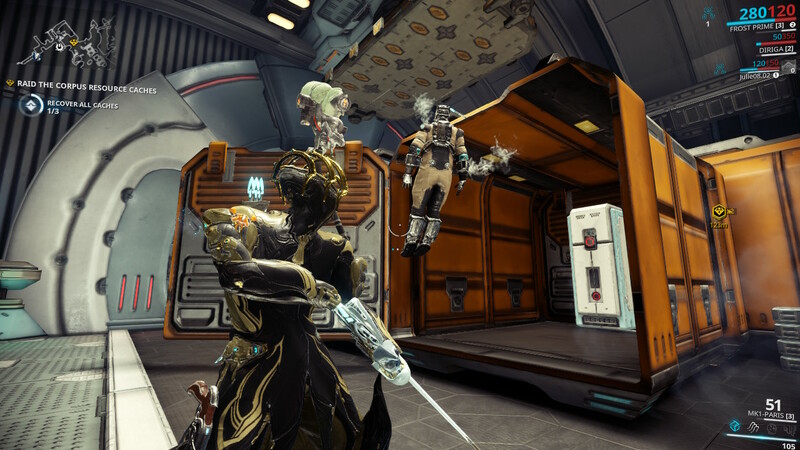 Warframe though feels better, frankly. It feels better to play. The guns might not have the recoil and feedback that they do in Destiny, but thanks to the movement options and wealth of content, I think I prefer Warframe. The main takeaway here is that I’m incredibly impressed that this game is free given its quality. It is so enjoyable and so fully-featured it almost feels like something is amiss – and I’ve been totally unaware for years. This goes right up there with Fortnite as one of the best free to play games you can play on any platform, and yes, you should definitely jump in and try out Warframe.